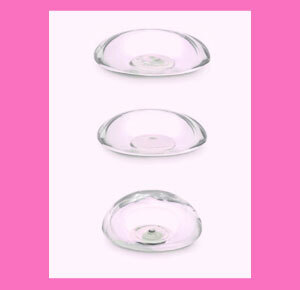 MemoryGel breast implants are the brand name of cohesive silicone gel breast implants marketed by Mentor Corporation. As with all cohesive implants, these jelly solid breast prosthetics represent the latest, and possibly greatest, design ever. The cohesive style of implant addresses most of the past concerns regarding silicone breast implant safety and durability, allowing women to enjoy a virtually indestructible prosthetic, which is designed to last for years and outperform competing implants in almost every possible rating criteria. This discussion investigates MemoryGel implant styles. MemoryGel prosthetics feature the gummy bear implant design, which means that the filler material is chemically bonded together and can not leak or rupture. Even if the outer shell is punctured or compromised in any way, the interior jelly will remain intact. Cohesive silicone gel was created to solve the major problems of past generations of silicone breast implants, which were rupturing and leaking. Although competing saline breast implants can and do rupture and leak, the filler material is inert salt water, which does not pose a health hazard in the same way as the silicone gel filled implants of old. Women who suffered ruptures and leaks of older style silicone implants often had to endure extensive “clean up” surgeries to locate and remove silicone which had migrated throughout the body. Cohesive style implants do not demonstrate these same risks, as they can be literally cut apart without the filler material breaking down. MemoryGel implants can be placed through many possible approaches, including inframammary, periareolar and transaxillary. They can not be placed using the transumbilical method, as this only works using unfilled saline implants. While many women love the feel of cohesive gel implants, some complain that they are too firm and not lifelike. This is particularly true for women who have them placed in the subglandular plane or those who have little or no natural breast tissue to soften things up a bit. 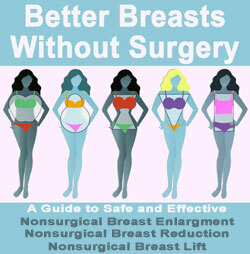 Other women love the texture and feel that the cohesive design represents the ideal breast firmness. It seems to be a matter of personal taste and preference. The cohesive silicone gel implant is certainly the most advanced design yet and allows many women to enjoy fantastic results from both breast augmentation and breast reconstruction applications. Although past performance, and the terrible reputation of older model silicone implants, are still deterrents in the minds of some women, many surgeons are swearing by the new style and feel it represents the future of breast enlargement surgery. However, until silicone can be utilized with the incredibly popular transumbilical procedure, it will never control the entire market, as this scarless breast augmentation technique offers many benefits that silicone just can not provide.